Destination Wellness 2019: What’s Driving Demand for Today’s Emerging Health and Wellness Brands and Products? The latest in The Hartman Group’s long-running syndicated research series on health and wellness, Health + Wellness 2019: From Moderation to Mindfulness explores what’s new, what’s mainstream, and what’s around the bend in the world of health and wellness. Since the 1990s, The Hartman Group has been immersed in the comprehensive study of America’s consumers' involvement in health and wellness. 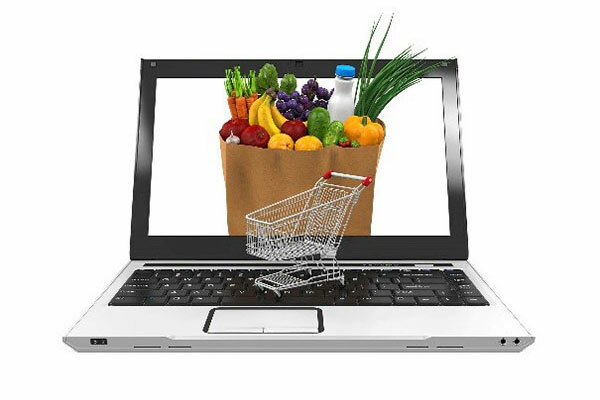 Much of our work along the way has led directly to our interpreting consumer and trade behavior in what today is commonly referred to as the “wellness marketplace.” While “wellness” has become a most ubiquitous term, we find today that, from a consumer perspective, the meaning of wellness is once again shifting in much more nuanced directions. We have often described the “journeys” that consumers embarked on as they sought out solutions to their developing wellness needs and how these journeys lead them to experiment with a wide range of new products and services. Today we believe, just as we did from our earliest days of research in this space, that nowhere is there more room for opportunity for new products and services than in the health and wellness market. We are witnessing more emerging niche brands and products successfully migrate to the mainstream wellness market. Wellness is an umbrella term, one used as much for describing a philosophy or lifestyle as it is for pitching products and brands. Marketers of health and wellness products face an ongoing challenge when attempting to target consumers who are learning about products and services important to their own wellness aspirations and goals. Because consumers are not all following the same road map as they advance on their wellness journey, there are no hard and fast rules about how to get their attention and their wellness dollars. The one constant, however, is that consumers are at the center of every wellness product and service category, where they are picking and choosing items to better achieve their desired lifestyle. These consumers are very much in control and are proactively taking charge of their lives. Combining our signature focus on trendsetting wellness consumers with an oversample of Gen Z (18-21 years of age), Health + Wellness 2019 also offers a glimpse of what the health and wellness concerns and trends of the future may look like. Additionally, this year’s report includes a special focus on cannabis for health and wellness, exploring consumers’ attitudes, usage occasions, and reasons for using cannabis from a health and wellness perspective. Today all consumers participate at some level in health and wellness, and one in two consumers say they have changed their health and wellness views in the past few years. Traditionally, aging has been the main trigger prompting consumers to look anew at health and wellness. However, high levels of stress and lack of energy among young consumers — even Gen Z — point to new definitions of health and wellness focused on mental and emotional health. America’s preoccupation with weight has shifted as more consumers are thinking about fitness holistically, encompassing strength, mobility, flexibility, and balance. A growing emphasis on body positivity is reflected in industry changes as well, as evidenced by branding shifts toward wellness and away from losing weight. There are clear differences in health and wellness priorities among older and younger consumers, not all of them clearly related to life stage. Gen X and especially Boomers place a higher importance on actively treating lifestyle and age-related issues, such as cardiovascular issues, arthritis, and diabetes. As a generation now fully managing adult responsibilities, such as work and family life, Millennials are more concerned with actively treating anxiety and stress, and they continue to prioritize digestion and food-related issues. Gen Z also show high levels of stress, anxiety, depression, and fatigue — prompting many to change their H+W views, despite being in the prime of life. Mental and emotional health is likely to be an important topic of conversation for these consumers for years to come. Cultural assumptions about what health and wellness encompasses continue to evolve, especially as consumers gain greater awareness of the dynamic connections between body and mind within a national mood that feels generally anxious and uncertain. This report helps you understand the building blocks that reflect consumers’ lifestyle journeys. 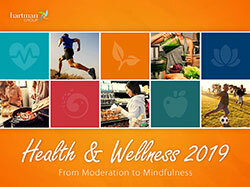 The latest in The Hartman Group’s long-running syndicated research series on health and wellness, Health + Wellness 2019: From Moderation to Mindfulness explores what’s new, what’s mainstream and what’s around the bend in the world of health and wellness. Many measures are trended over time and show significant change over the past 3-5 years, including foods and ingredients consumers are seeking or avoiding, supplement usage, conditions managed, and even what health and wellness itself means. With all this, and more, Health + Wellness 2019: From Moderation to Mindfulness is an essential report for any company with a stake in the health and wellness space.